‘A pregnant woman has one foot in the grave.’ This common saying reflects the reality in many developing countries: bearing a child is one of the main risks to a woman’s life. In the poor countries of the world, giving birth is both one of the most significant days in a woman’s life but also a time when she is closest to losing it. In Timor-Leste, a tiny country just north of Australia, progress against maternal deaths has been slow. Since independence from Indonesia in 2002, the country has made great efforts to provide trained midwives for pregnant women who seek them, but a wide gap remains. 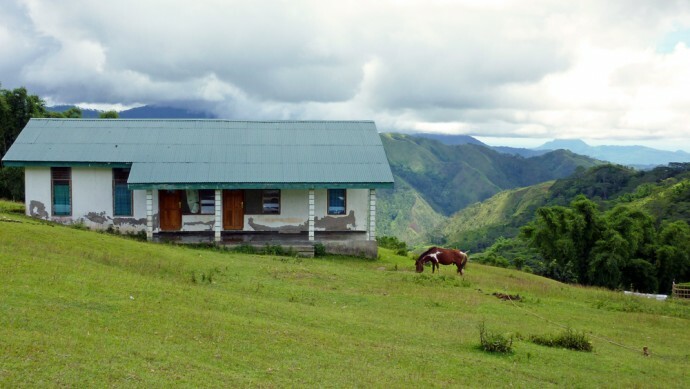 The rural population is widely dispersed in mountainous terrain and often far from health facilities. More than half of all babies in Timor-Leste are born at home with help only from family members. As a result, many women and babies die in those first few hours and days after birth. USAID has been working with Timor-Leste’s Health Ministry since 2004 to help find solutions to this terrible problem. In 2011, U.S.-based NGO Health Alliance International (HAI) won a USAID Child Survival and Health Grant to try a new approach. How could HAI help the Ministry bridge that gap between women and their midwives? Noting the dramatic increases in mobile phone use throughout the country, HAI proposed the first use of this technology as a permanent behavior-change tool. The focus for this new use of mobile phone technology is in Manufahi District, where cell phone ownership is fairly high at just over half, but, at 19 percent, use of skilled birth attendants is well below the national average of about 30 percent. Ministry statistics estimate that the district has about 11,000 women of reproductive age, and expected 2,200 pregnancies in 2013, the first year of the project. The project is called “Mobile Moms” or Liga Inan (“connecting mothers”) in the local language of Tetun. The project team matched the technological opportunity to the needs of the Ministry and developed a dual approach to making use of the widespread availability of mobile phones. 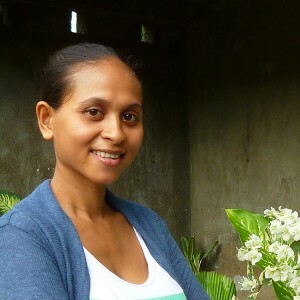 First, working with Catalpa International, a software development group in Timor-Leste, the project team created an internet-based program to send SMS maternal health messages twice a week to pregnant women in Tetun, the language most widely spoken. The messages detail important actions that the women can take to safeguard their pregnancies, and include advice on postpartum and newborn care for the first six weeks after delivery. Second, the project facilitates phone conversations between midwives and the expectant mothers at critical times. 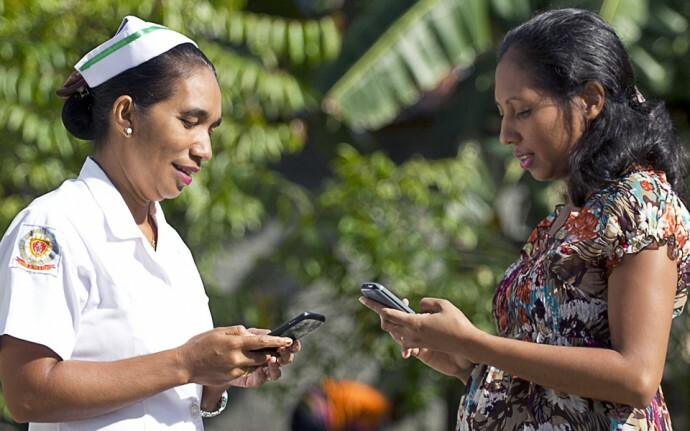 Women can send SMS messages very cheaply to ask for information or assistance, and midwives can call them back at the project’s expense. Health Ministry officials in rural Manufahi District have been supportive and intensely involved since the beginning. Director of District Health Services Teofilho Tilman said that they have “seen … a significant increase in the number of women receiving antenatal care and delivering at the health facility” since the project began. Over the past year in Same Subdistrict, where the project started its work in February 2013, the number of women coming to a birthing facility, using a skilled birth attendant or making four or more antenatal care visits has doubled. For me, it helps… because before Liga Inan we didn’t know the condition of the mothers. Through Liga Inan, we have their number and we know their due date. So for example, in November we know which mothers will give birth. We match that info with the data here to check, and if they didn’t come to the health facility, we call to find out how they are. In the first year of the project, Same Subdistrict midwives enrolled more than 1,000 women in the project. Nearly 600 women have completed their pregnancies and received the special postpartum SMS messages to help them give their babies a healthy start in life. Women participating in Liga Inan provide the project with valuable input about project impact and success. Amalia Martins Calapes from the town of Same did not participate in the program through her first two pregnancies. During her third, she did. And it helps her stay motivated to seek care. When the messages arrive, the first person that I share them with is my husband. He knows and then the household knows, and then I can share information with my girlfriends. I can tell them that the Liga Inan program sent me messages about this, and this, and this. So when they need something, they can contact this number or go directly to the clinic.